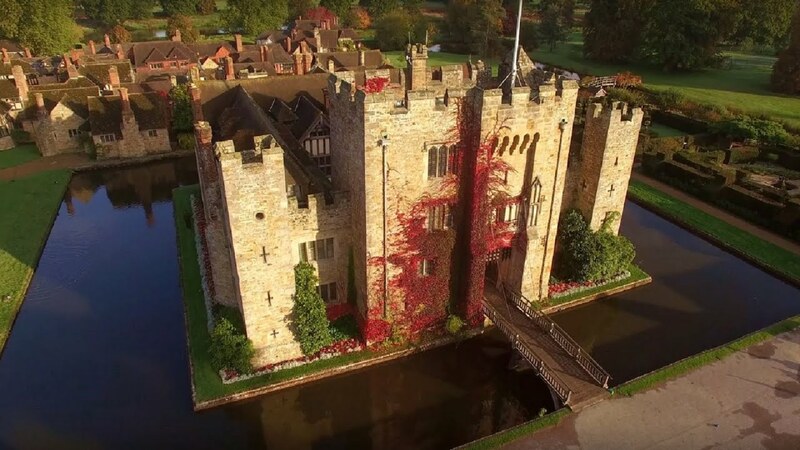 Hever Castle is a wonderfully historic venue and dates back as far as 1270. Set in over 600 acres, including a 38 acre lake, it is most famous for being the childhood home of Anne Boleyn, one of Henry VIII's ill-fated wives. Purchased by the American William Waldorf Astor in 1903, who restored the Castle, developed the award winning gardens and created the Astor Wing, an Edwardian wing designed in Tudor style. The Astor Wing is surrounded by private lawns offering a terrace for drinks receptions and a croquet lawn, a private outdoor heated pool and a tennis court. Today Hever Castle and the adjoining Astor Wing are available all year round on an 'exclusive use' basis for conferences, day meetings, private lunches and dinners. Taking just one group at any one time guarantees the privacy and seclusion to ensure any event is a success. The Astor Wing offers 28 five star bedrooms, individually designed to a very high standard with en-suite facilities but this can be increased to 32 by incorporating medley Court. Medley Court, is the 'five star gold' graded self catering cottage sleeping up to eight guests in four bedrooms. The house has been superbly restored and refurbished to the highest standard retaining all of Astor’s handcrafted wood panelling. The Castle Dining Hall and the Castle Inner Hall are both available to hire for dinner. Both rooms are steeped in history and have been superbly restored with fine wood panelling and a carved Minstrels Gallery. A range of exciting outdoor team building activities can also be organised within the grounds from clay pigeon shooting and duck herding through to motorised sports. In addition the award winning Hever Castle Golf Club boasts an 18-hole championship course, known as the Kings & Queens, to test even the most accomplished golfer. The newly refurbished Guthrie Pavilion presents the largest event space available at Hever Castle and offers an ideal setting for dinner dances, charity events, cocktail parties, conferences or awards ceremonies. Set within the Award Winning Italian Garden, the Gutrhrie Pavilion enjoys breathtaking views over the lake, making it an idyllic setting for any event. The beautiful flower clad pergola outside the Guthrie Pavailion allows guests to wonder outside to breath in the beauty of this special place. Marquee events can be hosted on the Winter Garden Lawn which is adjacent to the Castle, for up to 600 guests. This private lawn takes in views accross the moat to the Castle. I would like to express my extreme gratitude for the most beautiful event both throughout the day and evening at Hever Castle on 21st December. Many thanks Stephanie to you and your team for your amazing attention to detail – it was indeed an event that we will always remember and we look forward to seeing you again soon. On another note, my boss the MD, was given a tour of your facilities by one of the staff. We are now very interested in maybe having one of our “Overseas Sales Conferences” at Hever. Please could you send me any information you have on the packages you offer i.e. meeting space, accommodation, meals, etc.